Thank you everyone for your replies on my last post! I guess I just hadn't posted in a while, and got a bit lost in what I wanted to talk about. Also things have been non stop and I haven't really had enough time to collect my thoughts on all the goings on. Writing this blog is really therapeutic for me. It helps me order my thoughts and really figure out what is going on inside my body and mind! On the photo front I would love to take more photos. As bad as it sounds (as I have just completed a photography degree) I don't actually own a decent camera, well a decent digital camera. 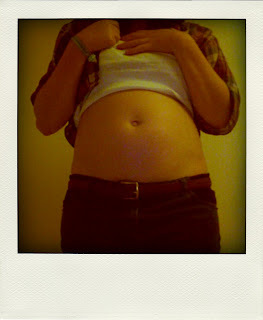 I have perfectly nice decent film cameras, but they're not to handy for taking quick photos of my stomach. 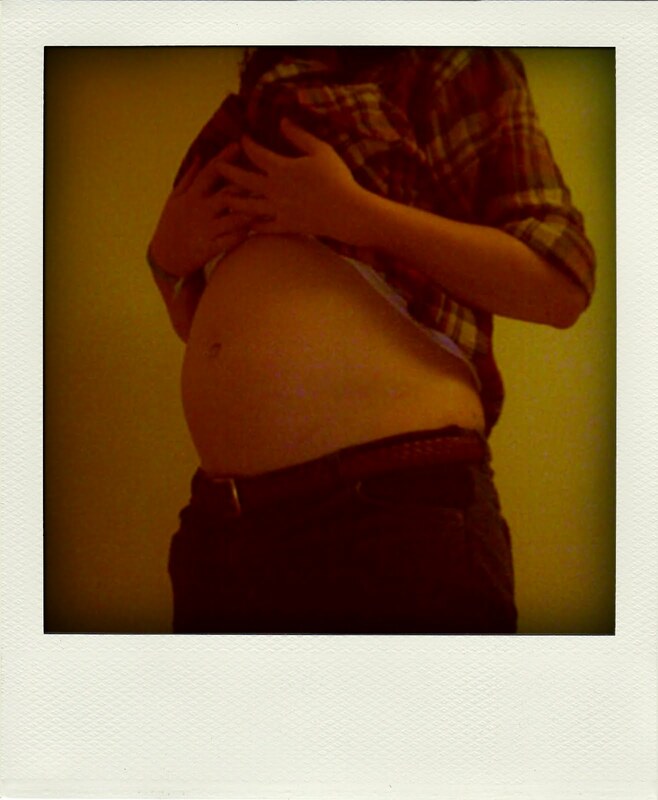 But I have been thinking about when I'm bigger getting someone to rent a large format camera from uni (James possibly? Hi!) 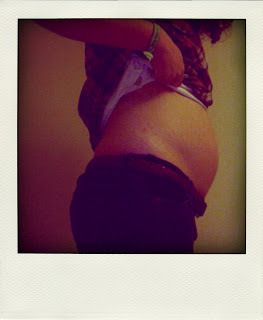 because I have some large format film left, to take some really nice photos of my stomach, and of le peach. But for now I'm going to save up, or ask for for Christmas, a decent compact digital camera. I imagine that will probably be the only thing that I will get (if I do) that won't be baby related?. Well I'll need something to take lots of photos of the baby. "So now it is up to each individual family to have the strength to continue telling their own stories, and carry on making family albums that can be cherished and passed through generations, how ever the medium of photography develops. I know that I am excited for the future, keen to start making my own history and eager to never forget the moments that happen, and one day hope to make my own family albums that will construct these memories, that can be shared and cherished." Who would have thought that those moments would have come so soon? 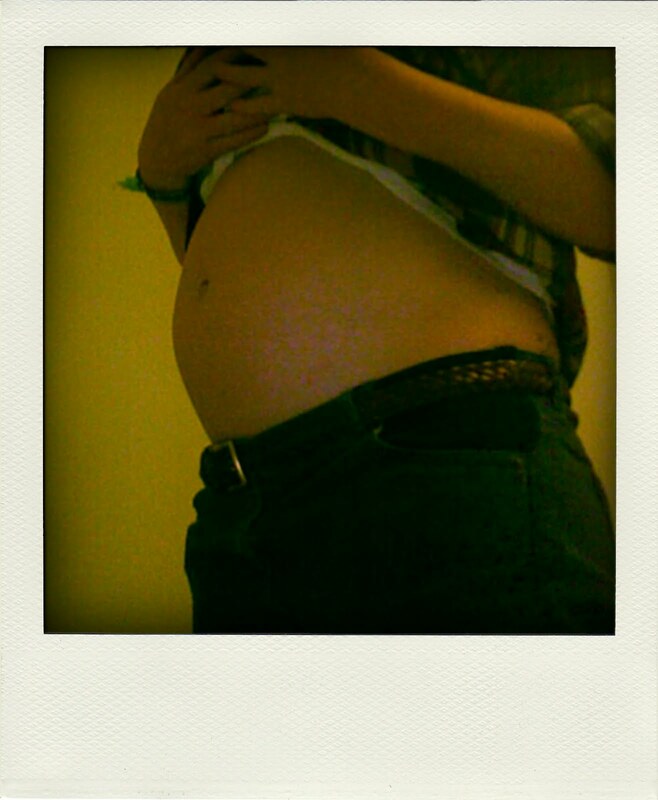 Anyway I shall leave you with some photographs of my stomach, and of the sweetest purchase ever, that I feel will make anyone want a baby, and certainly makes having a baby worth it, if just for this. It's a bear costume, well a bear baby coat thing. It's the softest sweetest thing ever created, and I just want to cuddle it all the time. I know it will be a million times better when there is actually a baby to cuddle in it. I'm excited. You can call the baby little bear just like my kitten! Update more! YOU MUST BE A BLOGGING MACHINE! jeezy creezy sissers i have a life too you know! I will update today. GOD! I see you've still not updated bumhole!